Tomorrow is Election Day, and there are by now hundreds of field polls out there trying to predict the election’s outcome. Statisticians and pundits alike are twisting themselves into pretzel-like contortions in the race to be the first to say “I told you so”. Meanwhile, it’s hard to undersell the importance of the 2012 Election: with the economy still in shambles, unemployment high (if falling), multiple foreign policy issues on the table, the likelihood of at least one (if not more) Supreme Court nominations forthcoming, and the promise of widespread immigration reform in the next four years, the name of the person seated in the Oval Office could make all the difference. In the final hours before Election Day, multiple polls suggest that the presidential election is a dead heat. A CNN poll released today, for example, suggests that both incumbent President Barack Obama and his Republican challenger Governor Mitt Romney are polling 49% nationwide among likely voters. Analysts from both sides of the aisle predict that whomever tomorrow’s winner is, they will win by razor thin margins. With that in mind, the Asian American vote could make all the difference. 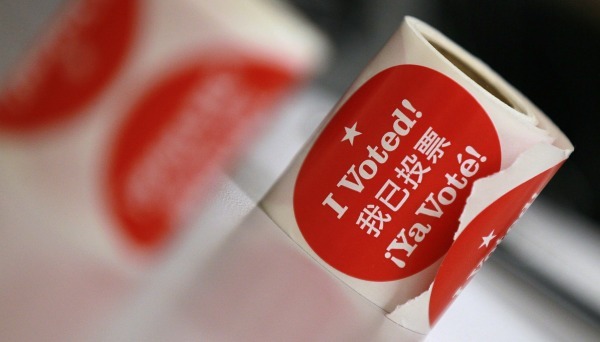 Many analysts have suggested that Asian Americans are more politically engaged now than in many years since the start of the modern political age. Most analysts agree that Romney’s path to 270 electoral votes — the number required to win the White House — depends upon winning at least one (if not many) of this year’s swing states, including Nevada and Virginia. Asian Americans — the nation’s fastest growing minority group whose immigrants outnumber those of Latino descent by over 400,000 — make up 5.8% of Virginia and 7.7% of Nevada. In 2008, Asian American voters turned out in record numbers, and ~75% of them backed then-Senator Barack Obama, helping to win both Nevada and Virginia to the Democratic side (as well as to ensure the safely blue states of California, New Jersey and New York). Yet, minimal attention has been focused on the Asian American electorate in 2012. This is surprising because multiple studies suggest that Asian Americans are a characteristically non-partisan electorate (at least relative to other minority groups). We are, as a voting aggregate, “up for grabs” for either party. 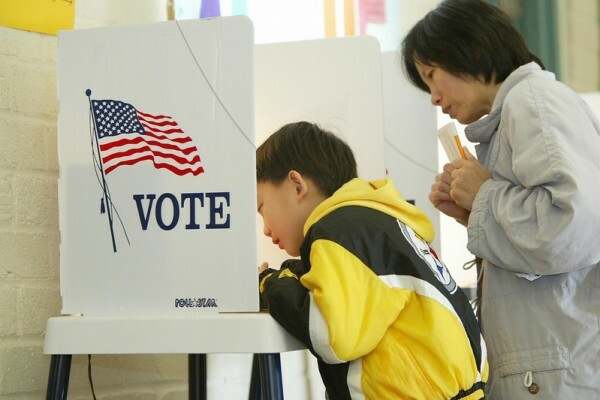 Following the 2008 election, the Asian American Legal Defense and Education Fund (AALDEF) released the most comprehensive post-election study of Asian American voters to date, and found that 58% of Asian Americans in that election were registered Democrat. Although this might suggest that Asian Americans are largely Democratic, consider that in this same study, this number is dwarfed by the number of Asian Americans — 75% — who voted for Obama, indicating a high number of non-party-affiliated Asian American voters in that election who swung in Obama’s favour. In truth, Asian Americans may be more evenly divided between Democrat and Republican party affiliation than the 2008 election results suggest. 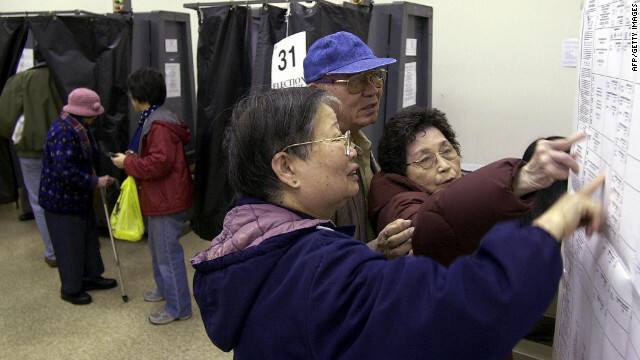 First of all, the AALDEF study also showed that roughly 31% of Asian American voters in 2008 were first-time voters, many of whom were likely drawn to the polls that year by the historic nature of the Obama campaign. In addition, the same study also showed that 4 out of 5 Asian American voters are foreign-born naturalized immigrants; taken together, these data suggest that the Asian American electorate is a relatively young voting bloc that hasn’t had time to develop a generational loyalty towards one party or another. 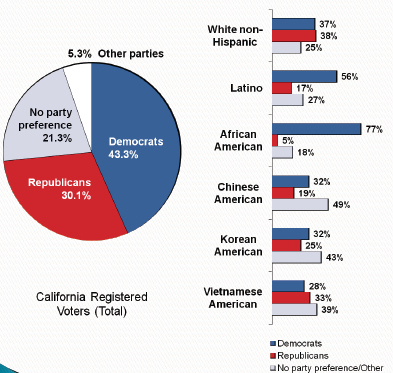 In California, a notoriously Democratic-leaning state, a recent poll (pdf; H/T: Samson Wong for sending the full report to me) conducted by the non-partisan research group The Field Poll, shows that most Chinese American, Korean American and Vietnamese American likely voters — somewhere between 30 and 50% for each — claim no party affiliation. This outnumbers voters of similar ethnicity who claimed either Democratic or Republican affiliation. Compared to Black and Latino voters, Asian American voters even in the dark blue state of California are largely unaffiliated to either party. In swing states like Nevada and Virginia, Asian American voters may be similarly up-for-grabs; in a recent op-ed, Asian American Democratic California Congressman Mike Honda wrote last week in an appeal to neighbouring voters in Nevada that nearly 1/3 of APIA voters nationwide remain undecided. 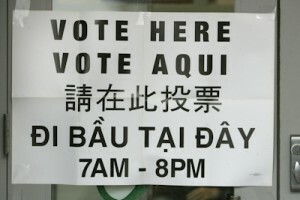 And, although Asian Americans voted 3 to 1 in favour of President Obama and other Democrats in 2008 (and appear to be continuing in this trend in 2012), the recent California Field Poll data also suggests that Asian Americans do not vote blindly along party lines, particularly when it comes to some ballot initiatives. In California, for example, voters will be voting on Proposition 34 to repeal the death penalty, a position typically favoured by most Democrats. Although polled Chinese Americans and Korean Americans strongly support another ballot initiative supported by Democrats which would raise sales and income taxes for public education, Chinese and Korean American voters appear to be straying from the traditionally Leftist anti-death penalty position: only 1 in 4 polled Chinese and Korean voters are in favour of repealing the death penalty. Percentage of polled voters who would vote “Yes” in favour of repealing the death penalty on Proposition 34; broken down by race/ethnicity (Field Poll). So, what does this all tell us? First, Asian American voters aren’t married to the Democratic party or to Left-wing ideology in general. Even in the blue state of California, Asian American voters are less likely to align themselves with Democrats and are more willing to vote across party lines on some social issues. Second, Asian Americans make up a significant portion of registered, and likely, voters in two swing states critical for Romney’s path to 270 electoral votes: Nevada and Virginia. And, third, in 2008, two-thirds of Asian American voters cited the jobs and the economy as their key issue at the polls — an issue that the Republicans are claiming as the primary reason to vote President Obama out of office this year. In short, Asian Americans are a bloc of voters in two hotly contested states large enough to swing the outcome in those states in a tight election, and the majority of whom could be persuaded to vote Republican in 2012. This should have been all the Romney camp needed to launch a cruise missile of targeted campaigning at the Asian American community in 2012. When I googled “Asian Americans for Romney”, I got this photo taken by a Romney staff member, Lanhee Chen, headlining his piece “Why Asian-Americans Should Back Mitt Romney“. Yet, after several months of national campaigning, it’s safe to say that Romney outreach to the Asian American community has been lacklustre at best. While both campaigns have launched Asian American-dedicated campaign websites, Romney’s Asian American oriented campaign site offers a single blog post written by Romney policy director Lanhee Chen, that basically served as a rough draft of the same talking points-based monologue delivered by the Big Guy himself in the video linked below. The site is also sparsely sprinkled with a few pictures of Asian Americans gamely holding Romney signs. By contrast, the Asian American and Pacific Islander for Obama campaign site offers dedicated fact sheets and volunteer opportunities, as well as a flurry of dedicated blog posts from Asian American Obama supporters writing from their personal experiences. 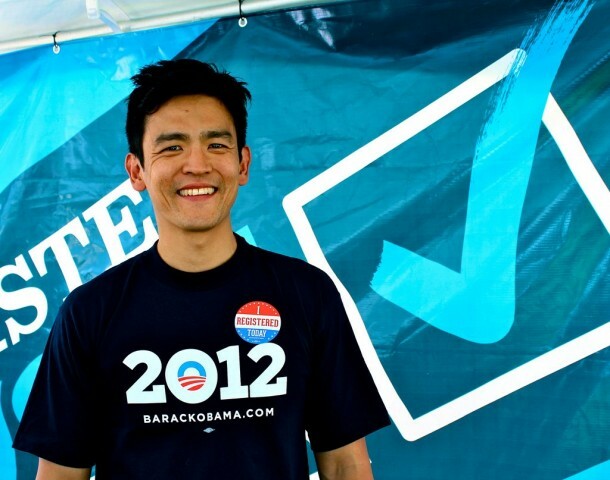 In fact, President Obama enjoys strong (and visible) support among notable Asian Americans, including John Cho (and Kal Penn) of Harold and Kumar fame. The campaign’s decision to share the voices of Asian American Obama supporters of diverse ages, genders and ethnicities helps to emphasize the campaign’s understanding of the diversity of the APIA community. I wrote earlier last month about the stark contrast in the Romney and Obama Asian American voter sheets. The latter offered several pages of compelling and dedicated reasons for Asian American voters to re-elect President Obama. On the other hand, Mitt Romneys’ campaign offered a single-sheet of boilerplate talking points copied-and-pasted right off the Romney website, and which failed to even mention the phrase “Asian American” anywhere other than in the header. In two web videos, the Romney and Obama campaigns appeal directly to Asian American voters. Romney’s video consists of 3 minutes of Governor Romney awkwardly addressing the camera, and — in a bizarre campaign decision — repeatedly using the phrase “your community” (as if to remind us that we are different from him). Again, he cites boilerplate reasons to support his candidacy; nothing in his language or his arguments is tailored to the Asian American voter. Contrast this half-hearted appeal with Romney’s enthusiastic promise to label China a “currency manipulator” on day one of his presidency; a promise that CNBC reports he would, as president, lack the legal authority to carry out. Romney has steered clear of demonstrating how his immigraton and education reform policies would impact Asian Americans, and has been silent on any campaign promise to enhance representation of Asian American judges and cabinet members (underrepresentation of Asian Americans in the highest echelons of this country’s political and judicial ranks is an important issue to many politicized Asian Americans). Meanwhile, President Obama’s campaign released a video featuring multiple Asian American campaign volunteers offering compelling and personal stories for why they are supporting the president, and why you should too. The Obama video, like his APIA voter sheet, again hits the right tone by acknowledging the strong diversity among Asian American voters; a diversity that many would argue uniquely defines our particularly community. His video not only emphasizes President Obama’s record on issues that Asian Americans cares about, but his video helps cement a sense of community with the Obama campaign. Ultimately, it’s hard to make the argument that Asian Americans — who represent less than 5% of the national population and who are located primarily in safely blue states like California, New York, and New Jersey — could be capable of single-handedly delivering the White House to Mitt Romney or Barack Obama. But, it’s clear that Asian American voters — particularly those living in the swing states of Nevada and Virginia — were a missed opportunity for Governor Mitt Romney to gain an edge in two states that he needs to win; and a loss in those two key states could certainly cost Mitt Romney the White House. Had Romney targeted Asian American voters nationally and in these swing states; had Romney been able to strike the right tone with Asian American voters that emphasized a sense of communal understanding, not “Other-izing”; had he been able to offer compelling arguments for why Asian Americans would stand to benefit more under a Romney presidency than under an Obama presidency; then, perhaps, Asian American voters in Nevada and Virginia might have been more inclined to support Governor Romney over the current president. And, had that been the case, perhaps Nevada and Virginia might be less of a battleground at 24 hours prior to Election Day than it is. And, if that were the case, perhaps Governor Romney might be sleeping a little more peacefully tonight than I’m sure he is. 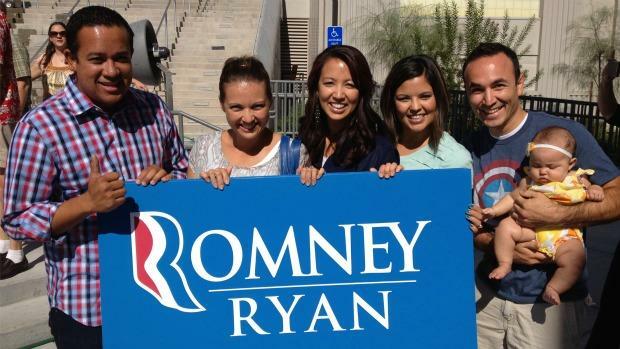 But, as it stands, Governor Romney missed the boat with Asian Americans. He missed the chance over the last several months to speak to Asian Americans like we are an educated, intelligent, and wide open bloc of voters, with nuanced and specific political interests. 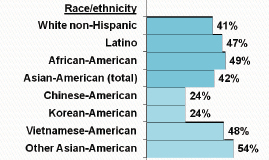 And consequently, it’s likely that Asian Americans will support President Obama in a similar majority as we did in 2008. And while I think that President Obama is the right choice for Asian Americans — and indeed all Americans — tomorrow, I do lament the fact that Romney and his campaign largely ignored our community, and in so doing missed an opportunity to bring us (and our issues) to higher national prominence. Mitt Romney’s failure to speak to Asian American voters will cost him the White House. But, his silence has cost us the chance to see a true Democratic and Republican race for the Asian American vote. Tomorrow is your chance to be heard. Please take the time tomorrow to go vote. Voting information: Please vote tomorrow, November 6th. Google “Where Is My Polling Place” to get handy information about where you can vote. If you experience any issues voting, report those problems to AALDEF, and know your voting rights. NPR: Could 2012 Be The Year of the Asian Voter? Salon: Will Asian Voters Swing the Election?